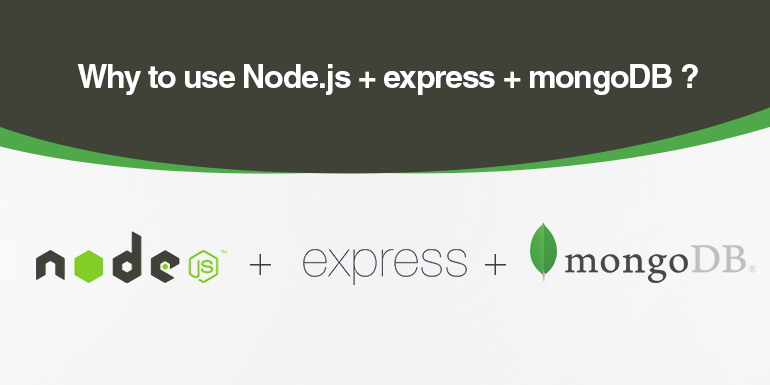 Home > Blog > Why to use Node.js + express + mongoDB ? Why we are jumping on Node.js ? Asynchronous I/O is a form of input/output processing that permits other processing to continue before the transmission has finished. Except for some specially named synchronous methods, Node’s bindings are all asynchronous, and by default Node programs never block, which means that they typically scale well and handle high loads effectively. Because the APIs are asynchronous, Node relies on event handlers,which are often implemented using nested functions and closures. Event driven programming is a generic concept where event emitter emits the number of events and a main loop listens to these events and immediately triggers a callback function as soon as the corresponding event is detected in that loop. In Node.js, the events are heavily used which make Node.js a pretty fast application as compared to the other similar technologies. Why should we use MongoDB? MongoDB provides the persistence for your application data.Mongoose allows us to have access to the MongoDB commands for CRUD simply and easily. Mongo + Node is extremely popular when you need a fast and convenient development cycle,performing Mongo queries in Node is, as you mentioned, straight forward, Mongo is a key value store, so basically no type checkings stuff” – what I meant here by “key value store” was that there are no predefined types for values in general. you could first have a field be a string, then you could have it be an numeral. Why should we use Express? Express 3.x is a light-weight web application framework to help organize your web application into an MVC architecture on the server side. You can use a variety of choices for your templating language (like EJS, Jade, and Dust.js).